Addis Ababa — The Red Sea state of Eritrea may play a key role in DP World’s plans in the Horn of Africa, where a dozen ports could be needed to service the region, CEO Sultan Ahmed bin Sulayem said. 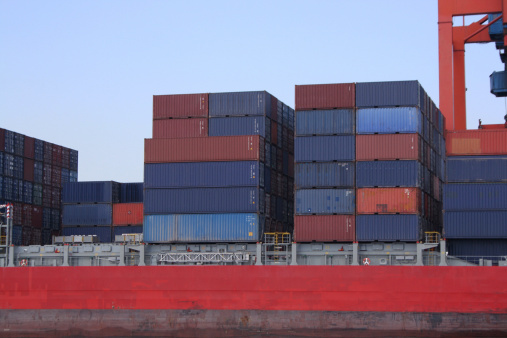 The Dubai-based state-controlled harbour operator is evaluating its strategy in the region after having its stake in a port in Djibouti — the main trade route for Ethiopia, Africa’s fastest-growing economy — nationalised by the government. Developing more ports in the Horn, including one it is already building at Berbera in the self-declared republic of Somaliland, will help boost trade flows to Dubai, Bin Sulayem said in an interview. 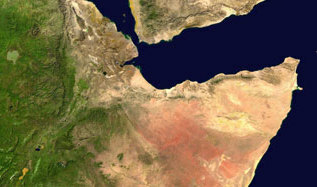 Eritrea’s strategic location near the Bab el-Mandeb Strait, a key shipping lane used by oil tankers and other cargo vessels en route to the Suez Canal, makes it an attractive investment destination for logistics companies. It is also a gateway to other nations in the region, the CEO said. The company has been carrying out assessments throughout the region, Bin Sulayem said. He declined to specify how many harbours it is targeting of the 10 to 12 it estimates the region requires. Eritrea is normalising its foreign relations after signing a historic peace deal in July with neighbouring Ethiopia, Africa’s second-most populous nation with 105-million people. The two countries fought a border war two decades ago that claimed as many as 100,000 lives. DP World will consider what the government’s plans are at the port city of Assab and “will be there like everybody else” if asked to invest, Bin Sulayem said. Eritrean Information Minister Yemane Gebremeskel said he could not comment on whether the ports of Assab and Massawa will be opened for tender. Eritrea may provide an alternative trade route for the region instead of Djibouti, where DP World is in a legal dispute with the government after it nationalised the Doraleh Container Terminal last month. That followed a UK tribunal ruling that Djibouti’s cancellation in February of DP World’s contract to run DCT was unlawful. Djibouti’s government has not approached DP World directly or indirectly with an offer of a settlement, Bin Sulayem said. Djibouti’s ports authority chairman, Aboubaker Omar Hadi, said in an e-mailed response to questions he met Bin Sulayem in January where they discussed possible compensation, though details of that have yet to be worked out. DP World spokespeople Michael Vertigans and Sana Maadad did not immediately respond to an e-mailed request for comment sent on Friday. DP World is also in arbitration with China Merchants Port Holdings at the Hong Kong International Arbitration Centre over the alleged infringement of DP World’s 50-year concession to run the Djibouti terminal, Bin Sulayem said. China Merchants bought a stake in DCT in 2012. Elsewhere in the region, DP World is interested in helping develop Kenya’s Mombasa port, and in helping Ethiopia establish a logistics facility, he said. Ethiopian Prime Minister Abiy Ahmed this year pledged to co-develop four unidentified seaports in Somalia with Somalia’s federal government. While DP World’s involved only in Somaliland and in the Bossaso port in neighbouring semi-autonomous Puntland, it will consider more Somali ports if further offers are made, Bin Sulayem said. Somaliland President Muse Bihi Abdi said last week in Hargeisa that Ethiopia may use three more Somali ports — Bosaso in Puntland, and Merca and Kismayo in southern Somalia. Somaliland, which has declared independence from Somalia, hosts a United Arab Emirates military facility at Berbera, though Bin Sulayem said the base won’t have a bearing on its investment plans.